Woodruff Professor Deborah Watkins Bruner PhD RN FAAN is the top-ranked nurse researcher in total grant support from NIH. In 2013, Bruner was awarded $2.8 million in NIH grants—the highest amount given to any nurse researcher in the world. She also is ranked in the top 2 percent of NIH investigators from all disciplines for funding. Bruner's ranking is based on data provided by the Blue Ridge Institute for Medical Research, and 2013 marks the second year in a row that she was named as the top nurse researcher. In 2012, she garnered more than $4.4 million in NIH funding. In addition to serving on the nursing faculty, Bruner is associate director of cancer outcomes at Emory's Winship Cancer Institute. Her research centers on improving outcomes for cancer patients, including quality of life, symptom management, and decision-making preferences for cancer therapies. She is also known internationally for her research in sexuality after cancer therapy. Bruner is the first and only nurse to lead the research base of a National Cancer Institute (NCI) Clinical Community Oncology Program and serves as vice chair for outcomes of the NCI-funded Radiation Therapy Oncology Group. She is also a member of the NCI Clinical Trials Advisory Committee and co-chairs the NCI Symptom Management Steering Committee. 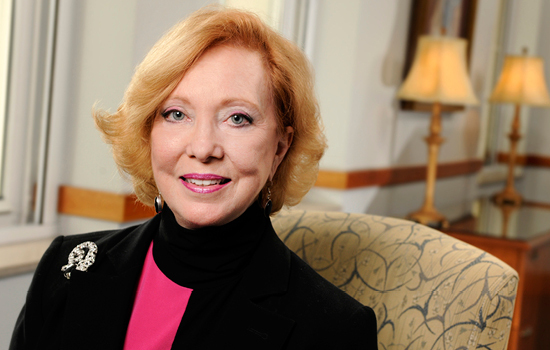 At Emory, Bruner is a vice chair of the university's Commission of Liberal Arts and a dedicated mentor to junior faculty to help them achieve their career goals as nursing educators and researchers.